Corona Definition: When an alternating potential difference is applied across two conductors whose spacing is large as compared to their diameters, there is no apparent change in the condition of atmospheric air surrounding the wires if the applied voltage is low. However, when the applied voltage exceeds a certain value, called critical disruptive voltage, the conductors are surrounded by a faint violet or yellowish-blue glow called corona. The phenomenon of the corona is accompanied by a hissing sound, production of ozone, power loss, and radio interference. The higher the voltage is raised, the larger and higher the luminous envelope becomes, and greater are the sound, the power loss, and the radio noise. If the applied voltage increased to break down value, a flashover will occur between the conductors due to the breakdown of air insulation. Corona occurs when the electrostatic stress in the air around the conductor exceeds 30 kV max/cm or 21.21 kV rms/cm. 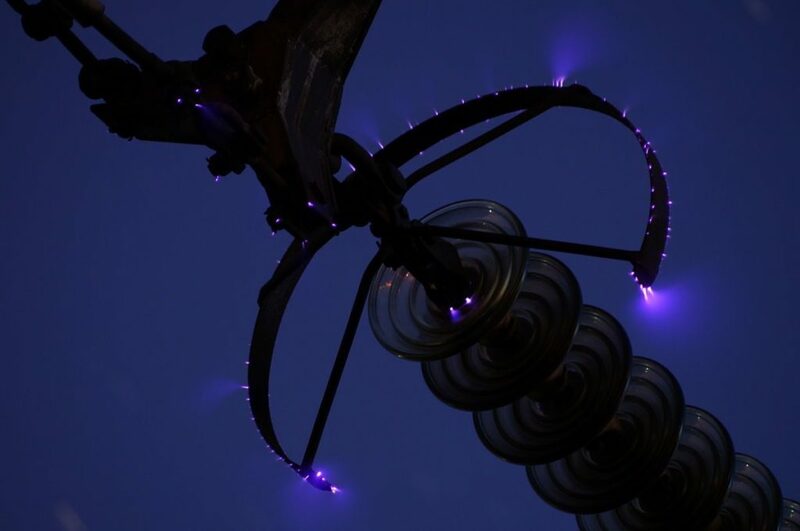 The phenomenon of violet glow, hissing noise, and production of ozone gas in an overhead transmission line is known as the corona. If the conductors are polished and smooth, the corona glow will be uniform throughout the length of the conductor; otherwise, the rough points will appear brighter. With DC voltage, there is a difference in the appearance of the two wires. The positive wire has a uniform glow around it, while the negative conductor has a spotty glow. The electrons and ions are always present to a small extent in the atmospheric air due to cosmic rays, ultraviolet radiations, and radioactivity. Therefore, under normal conditions, the air around the conductors contains some ionized particles and neutral molecules. When the potential difference is applied between the conductors, the potential gradient is set up in the air which will have the maximum value at the conductor surfaces. Under influence of potential gradient, the existing free electrons acquire greater velocities. The greater the applied voltage, the greater the potential gradient, and more is the velocity of free electrons. 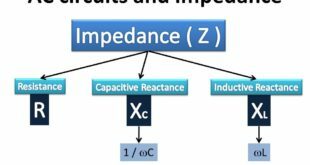 When the potential gradient at the conductor surface reaches about 30 kV/cm (maximum value), the velocity acquired by the electrons is sufficient to strike a neutral molecule with enough force to dislodge one or more electrons from it. This produces another ion and one or more free electrons, which in turn are accelerated until they collide with other neutral molecules, thus, producing other ions. The other process of ionization is cumulative. The result of this ionization is that either corona is formed or spark takes place between the conductors. Conductor. It has been observed that the corona very much depends upon the shape and condition of the conductor. A rough and irregular surfaced conductor gives more corona, that is, near a rough and dirty surface, corona glow is intensified because unevenness of the surface decreases the value of breakdown voltage. For example, the stranded conductor gives more corona than a single solid conductor (without strand). Corona decreases with an increase in diameter of the conductor. A spacing between conductors. With the increase in distance between the conductors, the corona effect is reduced considerably. It is because larger distances between the conductors reduce the electrostatic stresses at the conductor surface, thus avoiding corona formation. Line voltage. The line voltage greatly affects corona. A low-voltage corona is not observed. At higher voltage or at very high electrostatic stress, air gets ionized, which gives rise to corona effect and it is the cause of occurrence of a corona. Atmosphere. Corona is caused by the ionization of air surrounds the conductor. A stormy and foggy weather has more ions and therefore gives rise to more corona as compared to fair, dry, and clear weather. 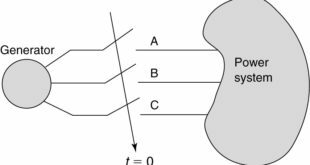 Due to corona formation, the air surrounding the conductor become conducting and hence the virtual diameter of the conductor is increased. The increased diameter reduces the electromagnetic stresses between the conductors. Corona is accompanied by a loss of energy. This affects the transmission efficiency of the line. 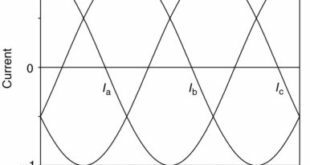 The current drawn by the line due to corona is non-sinusoidal, and hence non-sinusoidal voltage drop occurs in the line. This may cause inductive interference with a neighboring communication line. By increasing conductor size. By increasing conductor size, the voltage at which corona occurs is raised and hence corona effects are considerably reduced. This is one of the reasons that ACSR conductors that have larger cross-sectional area are used in the transmission line. By increasing conductor spacing. Between conductors, the voltage at which corona occurs is raised, and hence corona effects can be eliminated. However, spacing cannot be increased too much otherwise the cost of supporting structure (e.g., bigger cross-arms and supports) may increase to a considerable extent. Radio interference is one of the adverse effects caused by corona on wireless broadcasting. The corona discharges radiation which may introduce noise signal in the communication lines, radio, and television receivers. It is primarily because of the brush discharges on the surface irregularities of the conductor during positive half cycles. This causes corona to occur at voltages below the critical voltages. The negative discharges are less troublesome for radio reception. Radio interference is considered as a field measured in microvolts per meter at any distance from the transmission line and is significant only at voltages greater than 200 kV. There is a gradual increase in radio interference (RI) level until the voltage reaches a value which causes corona to take place. Above this voltage, there is a rapid increase in RI level. The rate of increase is more for smooth and large diameter conductors. The amplitude of RI level varies inversely as the frequency at which the interference is measured. Thus, the services in the higher frequency band, for example, television, frequency-modulated broadcasting, microwave relay, radar, etc., are less affected. Radio interference is one of the very important factors while designing a transmission line. It is general practice to run communication lines along the same route as the power lines since the user of electrical energy is also the use of an electrical communication system. The transmission lines transmit bulk power at relatively higher voltages. These lines give rise to electromagnetic and electrostatic fields of sufficient magnitude which induce currents, and voltages in the neighboring communication lines. The effects of extraneous currents and voltages on communication systems include interference with communication service, for example, superposition of extraneous currents on the true speech currents in the communication wires, hazards to person, and damage to apparatus due to extraneous voltages. In extreme cases, the effect of these fields may take it impossible to transmit any message faithfully and may raise the potential of the apparatus above the ground to such an extent as to render the handling of the telephone receiver extremely dangerous.